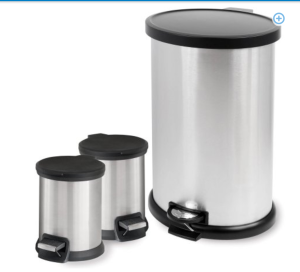 Step 3-Piece Stainless Steel Trash Can Set ONLY $18.97 (Reg. $69.99) on Walmart.com. This is an amazing deal for stainless steal trash cans.